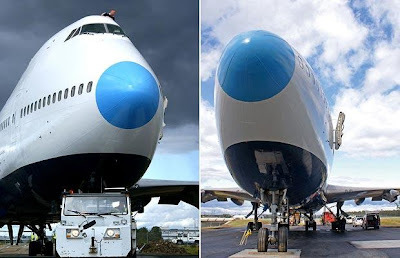 13 Above: World's First Jumbo Hostel On A Plane !! 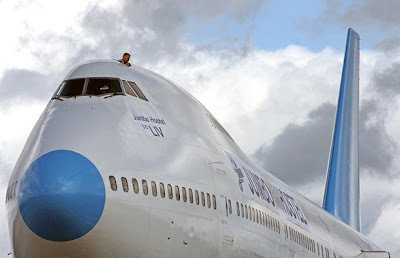 World's First Jumbo Hostel On A Plane !! 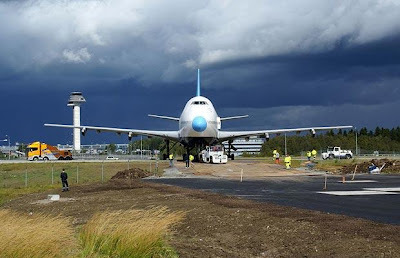 The world's first built guesthouse onboard a real Boeing 747-200 has touched down at Stockholm Arlanda Airport ..
"It's just fantastic and unbelievably exciting to finally be able to show something so unique and special for the rest of the world," says Gisela Olsson, Site Manager at the Jumbo Hostel. 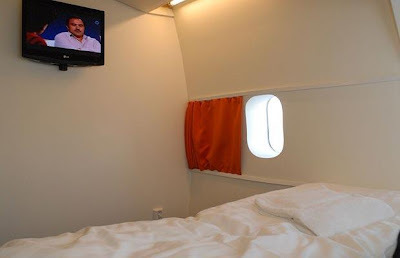 It's even possible to wake up to the sight of real planes taxiing on the airport's runways through the windows in your room. 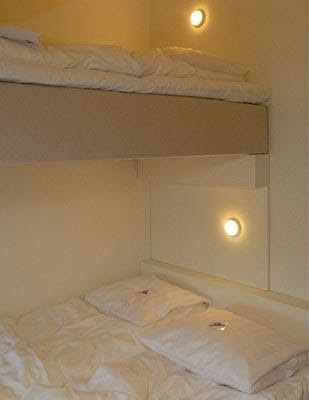 The hostel features a reception and lounge area, complete with candlelit tables and a retro company logo. 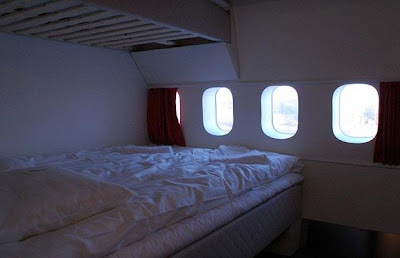 One of the 25 rooms to choose from once you get on board. 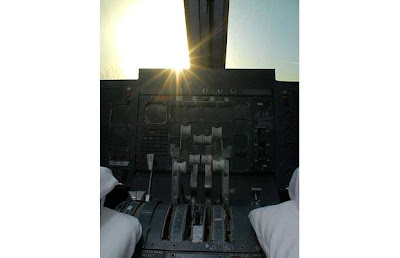 ...which comes complete with throttle controls. 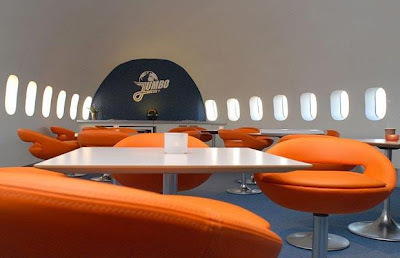 The staff also dress as cabin crew, with many of them actually having worked aboard commercial flights. 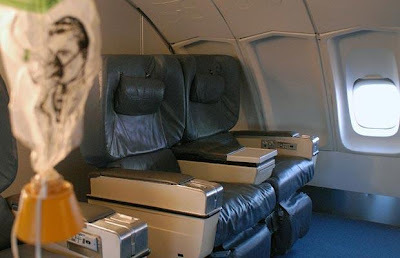 Originally delivered to Singapore Airlines in 1976, the jet also spent time in Cathay and Pan Am fleets. 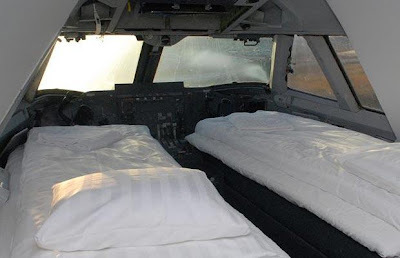 Guests have the chance to buckle up in all the comfort of a long-haul flight. 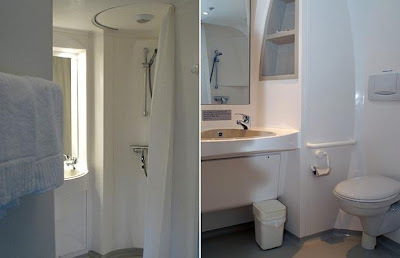 Some rooms are available with bunkbeds..
For the first time you can now take a shower on an aeroplane. 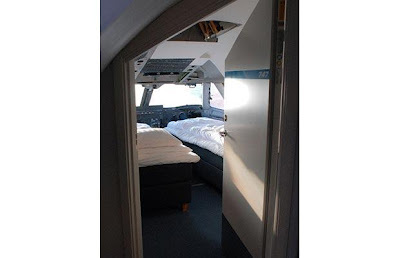 Prices ranging from £29 for a dorm bed to £275 for the cockpit double, which includes private bathroom and breakfast. 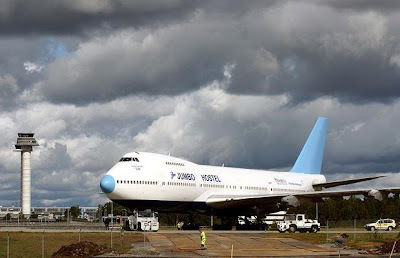 But now it is grounded indefinitely could be there be any better way to join the TEN METRE-high club? WTF ' Montauk Monster ' Is ?? !! Amazing Deadly Dozen - Avoid At All Costs ! Dad In Just 13 ??! !